UPS Inc. will institute a holiday-shipping surcharge for residential delivery in much of November and December this year to help deal with the torrent of e-commerce shipping at that time of year. The extra charge per package will range from 27 cents to 97 cents, the Atlanta-based corporation said June 19. “To meet [customers’] requirements, UPS flexes its delivery network to process near double our already massive regular daily volume, and that creates exceptional demand,” Alan Gershenhorn, UPS’ chief commercial officer, said in the company statement explaining the need for the charge. An executive with FedEx Corp., UPS’ main rival, said during its June 20 earnings call that management is working on the issue but has not yet made a decision. 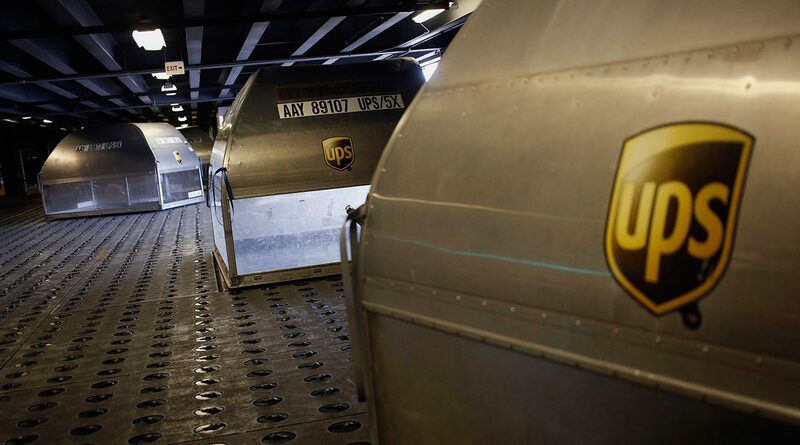 UPS and FedEx rank Nos. 1 and 2, respectively, on the Transport Topics Top 100 list of for-hire carriers in the United States and Canada. The UPS surcharge of 27 cents will start first for ground-based delivery on Nov. 19, four days before Thanksgiving. The extra fee for express delivery, often involving aircraft, is either 81 cents per parcel or 97 cents but lasts only from Dec. 17 to Dec. 23. The surcharge rates are for parcels moving within the 48 contiguous states. For deliveries involving Alaska and Hawaii, the rates are higher, the company said. Early shippers wishing to escape the fee can do so if they send their parcels between Dec. 3 and Dec. 16, when the surcharge falls to zero for both ground and air packages. UPS discusses its seasonal delivery operations at the end of each January, when the company reports fourth-quarter earnings. Citigroup analyst Christian Wetherbee said the surcharges “are targeted to recoup the higher cost of lower-density, residential delivery. This move follows closely behind Amazon’s purchase of Whole Foods, which may be a driver for greater in-store pickup. Taken together, it appears possible that large market participants are now making efforts to slow the pace of [business-to-consumer] growth. Also, a new study commissioned by the Council of Supply Chain Management Professionals said U.S. spending on parcel delivery — with UPS, FedEx and the post office — soared by 10% last year over the previous year, and much of the gain was driven by e-commerce orders. FedEx reported its fiscal 2016 results the day after UPS announced its surcharge, generating several questions from stock analysts.